Trustee Balogh was first elected in November 2007 and re-elected in 2011 and 2015, is a proud twin, and welcomes the role of Trustee as an extension of community citizenship and service. 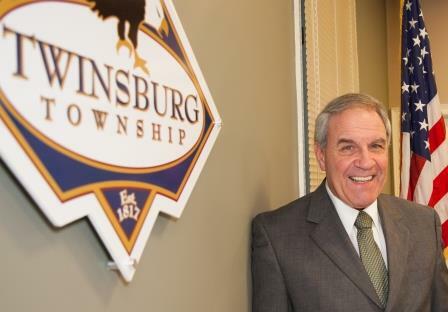 Jim is a lifelong Township resident and graduated from R. B. Chamberlin High School in Twinsburg. Jim worked as Summer Laborer for the Township Service Department in 1964 and 1965. Prior to serving as Trustee, Jim served as Township Park Board Member and Western Reserve Cable Consortium Member (and Chair). Mr. Balogh currently serves as Board Chair, with liaison duties including Finance, Human Resources, and Zoning, and additional responsibilities including Summit County Health District Advisory Council Alternate, Western Reserve Cable Consortium Member (and Chair), and JEDD Board Member. Jim Balogh is employed as the Manager of Digital Media Production for Akron Children’s Hospital, lives on Ravenna Road with his wife, Mary Beth, and has three grown sons. Contact Trustee Balogh via telephone at (216) 701-3738. Contact Trustee Balogh via email at jbalogh@twinsburgtwp.com.